Bella was spotted alone, afraid, hungry and injured on the streets of Puerto Rico one night. The story only got worse because when she was seen again her injured face had worsened with cuts and opened wounds. 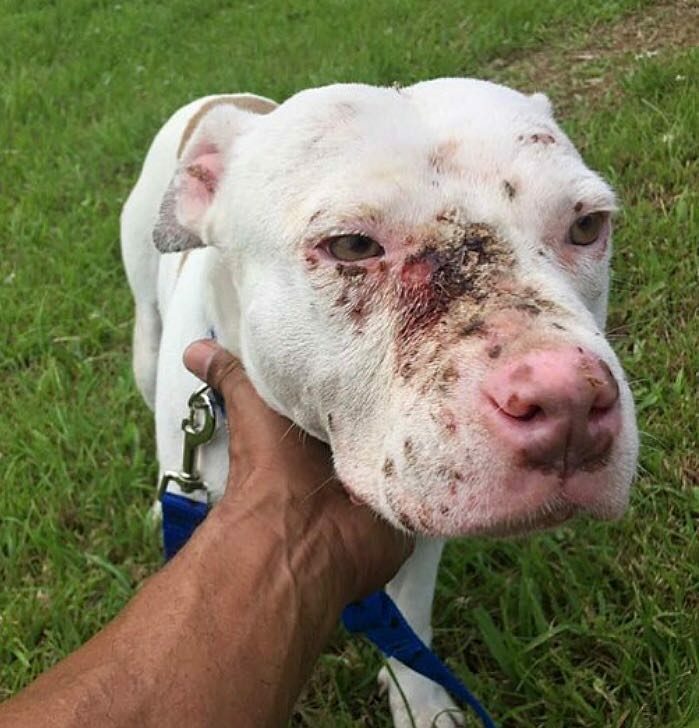 Judging by her bite wounds, it seemed that poor helpless Bella was used as a bait dog. 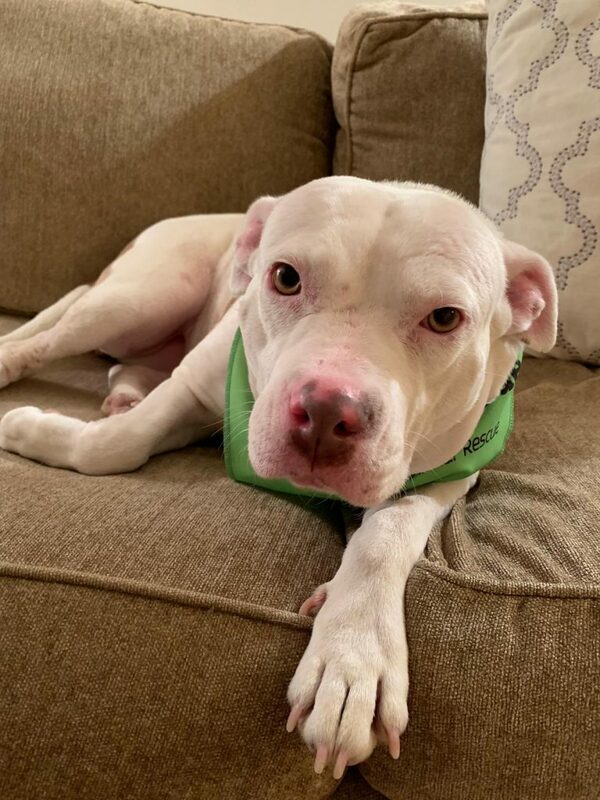 Due to the false stigma of Pitbulls, it was almost impossible to find her a home in Puerto Rico so our partners in Puerto Rico contacted AMA for help. 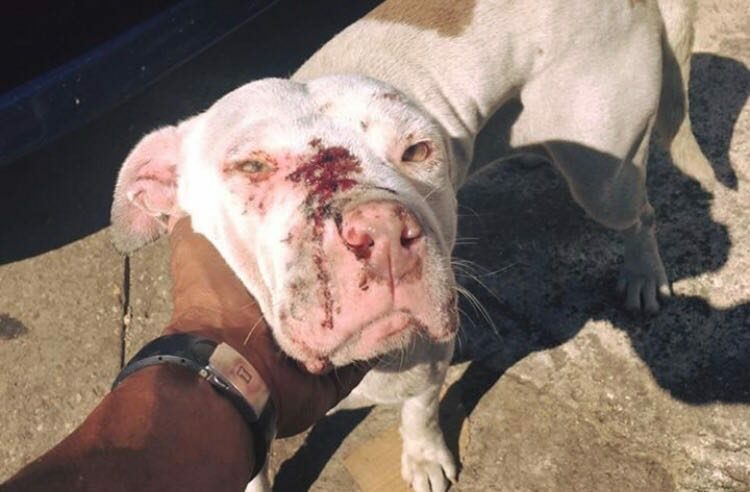 If she was left to fend for herself, she would have probably died from infection or been used for dog fighting again, so together we knew that we had to rescue her immediately. If Bella had a theme song, it would definitely be Survivor by Destiny's Child, because no matter what life throws at her, she's gonna make it and keep on survivin'! 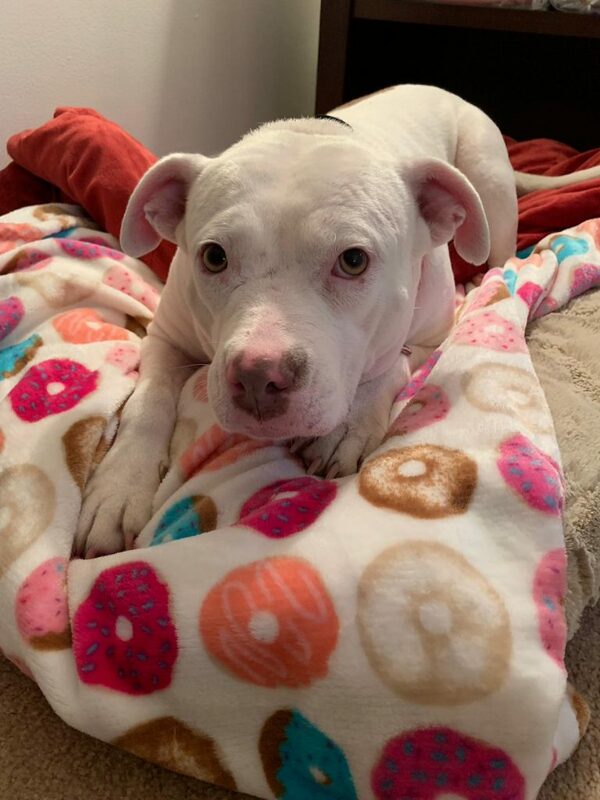 From her tragic early as a bait dog in Puerto Rico to her recent battle with cancer, Bella's been a fighter, showing all of us what it means to keep believing. 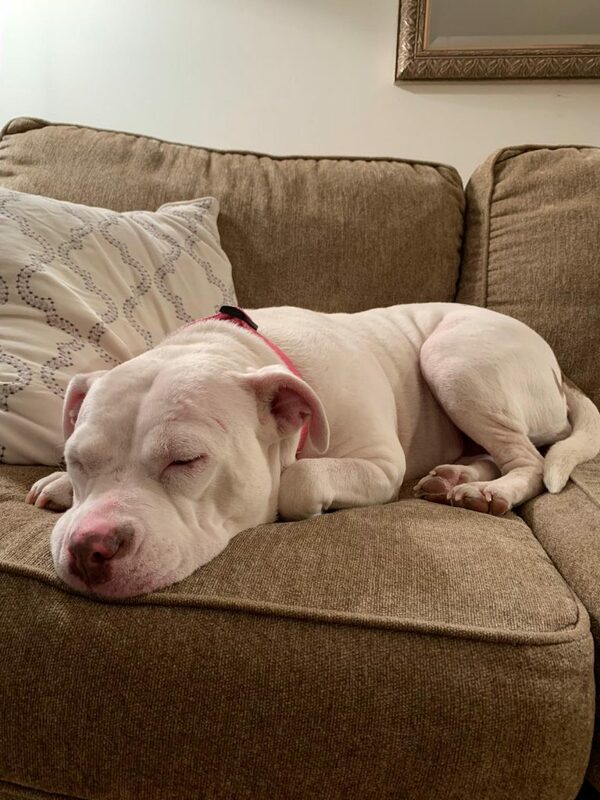 So we couldn't be happier to announce that Bella recently got what she was fighting for: a true furever family ready to shower her with kisses and take her from surviving to thriving! 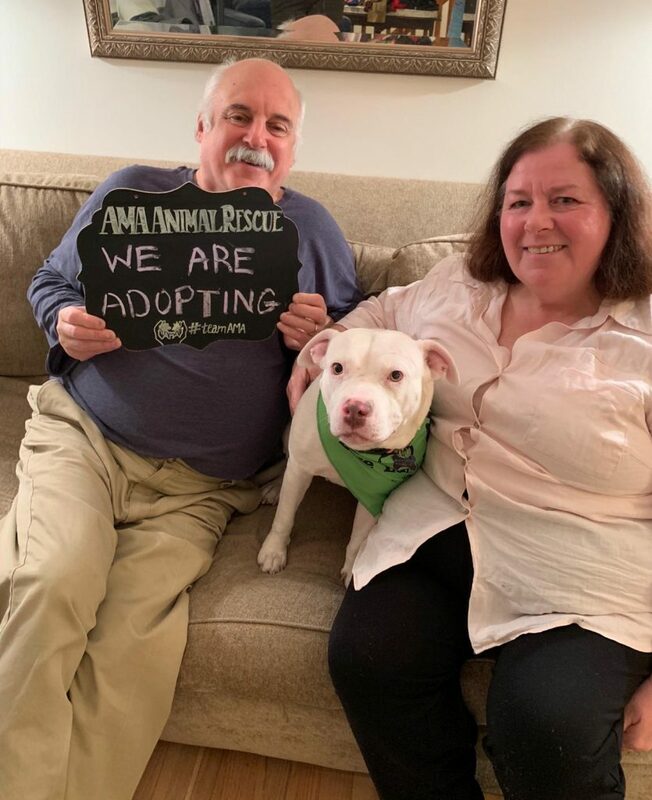 Bella is truly a miracle dog, and we're ecstatic that she gets an equally miraculous family to help her shake off her past and bound into her future. Happy tails, Bella!